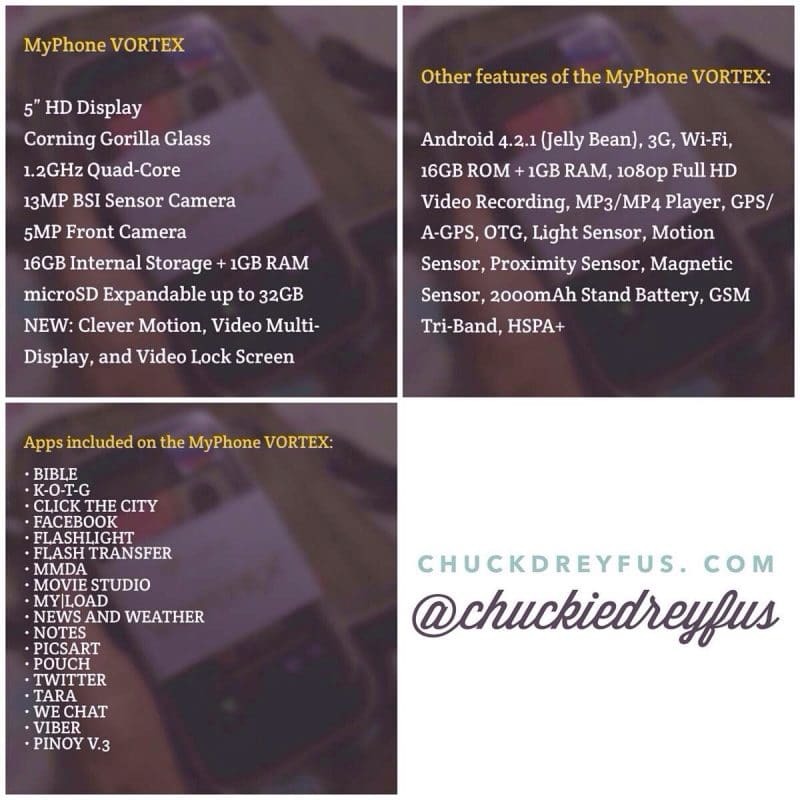 The MyPhone Vortex Full Specs - All Chucked Up! Compared to the Iceberg, apart from the Vortex having a removable storage slot (microSD port), it seems that its rear camera’s resolution is a megapixel higher (13MP). But we’ll see how much of a difference that makes from the Iceberg’s 12MP camera. Watch out for my MyPhone Vortex unboxing and review very soon. Hi sir chuck! Thank you so much sir for accomodating my request.. Looking forward for your next review about this phone. Godbless!